"I chose my profession because of a life-long interest in biological sciences and helping others. 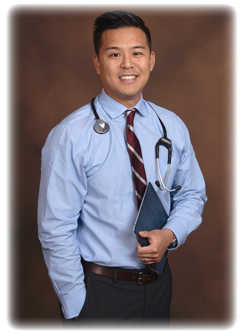 I strive to provide compassionate, high quality medical care for those with HIV/AIDS and other serious infections. In my experience, an empathetic and transparent approach is the best way to achieve quality medicine and a strong patient-physician relationship." In my spare time, I enjoy outdoor activities such as hiking in the mountains near Los Angeles and going to the beach with my family. I also enjoy amateur photography and reading crime and science fiction novels.